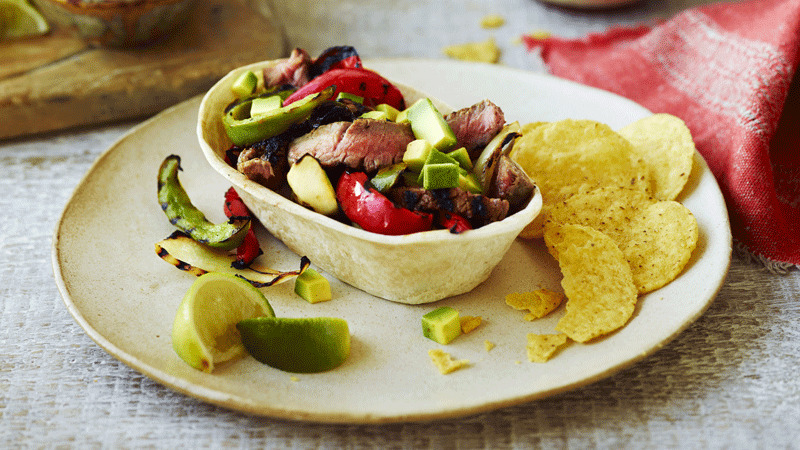 Try a twist on the traditional fajita using Old El Paso™ Stand 'N' Stuff Soft Flour Tortillas! These tortillas make eating your Mexican creation even easier. Sprinkle both side of the steaks generously with the fajita seasoning, pressing it gently into the flesh. Leave for 5 minutes. Heat a large cast iron griddle pan over a very high heat. Cook the steaks in the hot pan for 3-5 minutes on each side, until charred and cooked to your liking. Transfer to a warmed plate and leave to rest for 10 minutes. Add the onion and peppers to the hot griddle pan and cook for 4-5 minutes until just tender and lightly charred, turning occasionally. Meanwhile warm the flour tortillas as directed on the packaging. Transfer the steaks to a chopping board and thinly slice. Divide the steak, peppers and onion between the warmed tortillas. Top with the avocado. Serve with soured cream and lime wedges to squeeze. The steak can be cooked on a hot barbecue and the onion and peppers around the cooler edges of the barbecue. 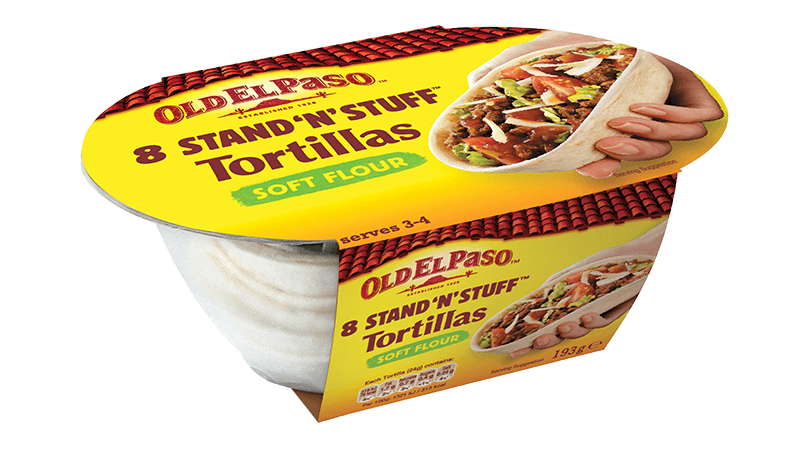 Spoon some Old El Paso™ Thick 'n Chunky Salsa into the base of each warmed flour tortilla before adding the steak and vegetables. Serve with a side of Old El Paso™ Original Nachips™.